Any benefits should be weighed against safety and potential decrease in swimming velocity. Breath control sets are a longtime staple in many swimming programs, with many swimmers fostering a love-hate (or just hate!) relationship when seeing a breath control set on the whiteboard. According to conventional logic, if you can practice tolerating breathlessness in practice, you should be prepared for the rigors of competition. Another purported benefit is exposing technical flaws during the breath, as swimmers may sometimes gain velocity when not breathing intermittently. Before going any further, it is important to differentiate between hypercapnia (Buildup of CO2) versus hypoxia (insufficient oxygen to meet muscular demands). In reality, without sophisticated respiratory measuring gear, it is difficult to precisely determine the percentage contributions of hypercapnia versus hypoxia at any given moment. While ultimately the end result is similar (discomfort and the urge to breathe), it is important to remember that the urge to breath is primarily driven by the impulse to purge CO2 from the lungs, not a deficit of O2. 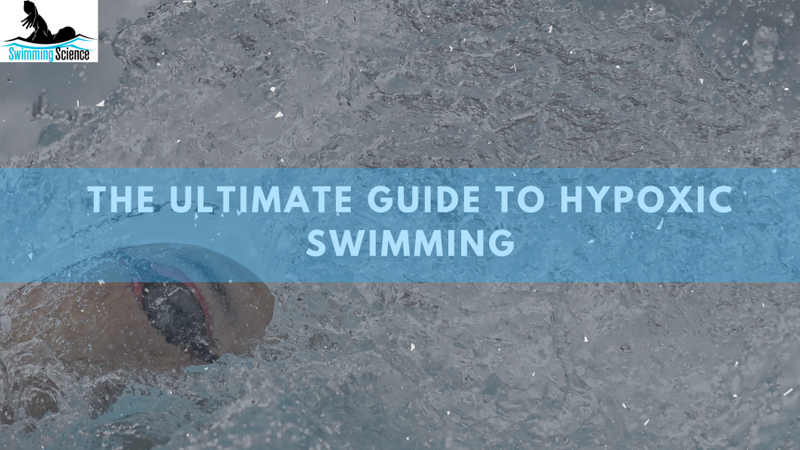 The distinction surely matters because this urge can be muted through training, as evidenced by lengthy distances covered by apnea competitors. Pulmonary physiology aside, the terms “restricted breathing” or “hypoxic set” as used colloquially on the pool deck encompass a wide range of tactics. Limited breath swimming has been a hot and controversial topic in recent years, with greater awareness building for shallow water blackout. As the swim community knows, there have been a few preventable tragedies in recent years. In this post, we’ll assess the safety and theorized effectiveness of common breath restriction practices, as they are not all synonymous. Breath control sets, often with pulling gear. Think of a set of 200s pulling breathing every 3/5/7/9 by 50. There is perhaps some merit to the rationale that breath control sets help economize movement and help the swimmer become more aware of possible stroke inefficiencies. The inevitable tradeoff is that swimmers will often decrease speed as a strategy to manage the reduced breathing. Another defense for this type of set is that it encourages mindful stroke awareness by imposing a task constraint on the swimmer. Overall, this is a fairly safe practice, as a swimmer can easily bail if in serious distress and is easily noticeable on the surface if an incident occurs. Restricted breathing – Think of this as “normal” swimming without equipment but with a task constraint of limited breaths per given distance. This is very similar to breath control sets but without gear and may include restricting breaths per length. Whereas the common breath control set might be breathing every 3/5/3/7 by 50, a restricted breathing set might “descend” breaths by 25 or 50 (4 x 25, going 3-2-1-0 breaths, for example). As with breath control sets, this type of set can encourage mindfulness for the swimmer to become more aware of stroke changes with less frequent breathing. Lemaitre (2009) found that “[apnea training] can improve swimming technique by promoting greater propulsive continuity.” It can also serve as race specific training for the last 25 or 50 in which a swimmer may reduce breathing shortly before the finish. However, note that Jackovlievic (2009) found restricted breathing patterns actually increased respiratory muscle fatigue Whether this type of training translates to faster swimming will depend on how it is applied, as a swimmer can easily “game the system” by swimming slower and reducing the load on the pulmonary system. Underwater swimming for distance – This is the danger zone. There is very little physiological for underwater distance swims. With all the available methods to improve subsurface swimming, you’d be hard pressed to justify distance underwater swims (50yds and up) as the best use of time at any point during a practice. Perhaps most concerning is that if the culture places any value upon these feats, it will encourage athletes to attempt these feats without proper supervision on deck. The problem is not the distance of 25-50m, it is that competitiveness inevitably drives people to push the envelope. Underwater kicking/swimming – Despite the lack of justification for long distance underwater swimming, there IS benefit to practicing the ability to maximize all 15m available off each start/turn. How much to emphasize this portion will depend on many factors (event, individual swimmer strengths and weaknesses, season) but learning to stay underwater off a turn and tolerate the inevitable discomfort is an essential part of racing. Restricted outlet snorkels – This hasn’t been studied formally (if it has we’d love to know about it!). 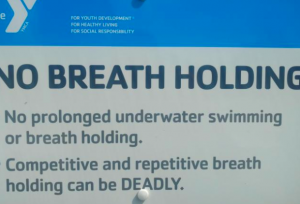 Overall, this has few safety concerns but it is questionable whether it results in better swimming. Snorkels in themselves are generally seen as valuable for stroke technique work, but whether adding breath restriction makes them more effective remains to be decided and ultimately depends on what you intend to achieve. Land based respiratory training – Oddly, this is probably the least utilized but most supported by evidence. (Wilson 2014, Kilding 2010) No, we aren’t referring to those ghastly training masks, but instead to specific exercises targeted toward respiratory muscle fatigue. Not much to add here other than you can find good evidence to support this type of training. One valuable feature is that it does not require much excess time and has been shown to improve race performance when included as part of a warm up (when there is usually ample time at a meet and the warm up pool is often too crowded for an optimal warmup). Restricted breathing is one aspect that separates swimming from nearly all other sports. It is important to under the “why” for each of the different breathing strategies and determine if the actual benefits match their intended purpose. Lemaître F, Seifert L, Polin D, Juge J, Tourny-Chollet C, Chollet D. Apnea training effects on swimming coordination. J Strength Cond Res. 2009 Sep;23(6):1909-14. Kilding AE, Brown S, McConnell AK. Inspiratory muscle training improves 100 and 200 m swimming performance. Eur J Appl Physiol. 2010 Feb;108(3):505-11. Jakovljevic DG, McConnell AK. Influence of different breathing frequencies on the severity of inspiratory muscle fatigue induced by high-intensity front crawl swimming. J Strength Cond Res. 2009 Jul;23(4):1169-74. Allan Phillips, CSCS is a performance coach based in Tucson, Arizona and is owner of Pike Athletics. As a USA Triathlon Level I Coach and ASCA Level II Coach, he has worked with athletes from beginner to elite. Along with his coaching, Allan is a doctor of physical therapy student at South College.